How Far is Aurelia Estates Palm Vistas? 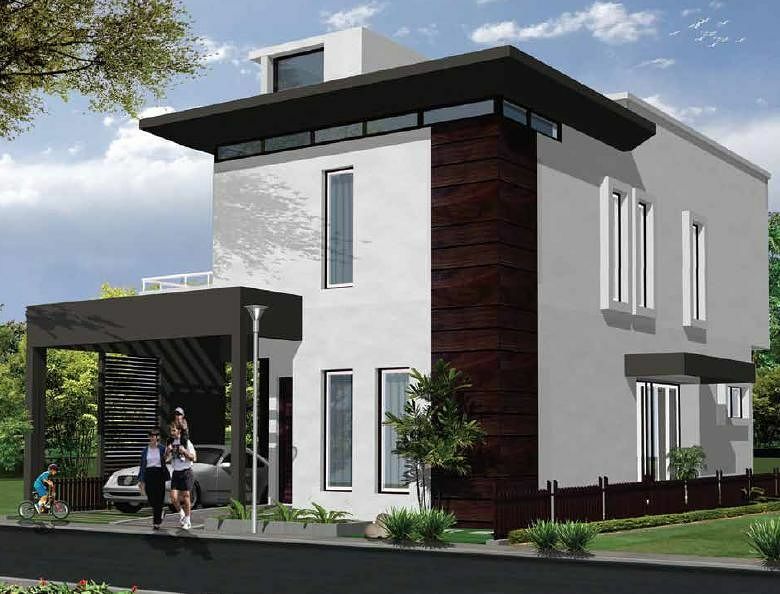 Palm Vistas is a residential gated community of Villas & Villaments planned across 8 acres. Phase 1 of the project is spread across 6 acres and has 54 units. 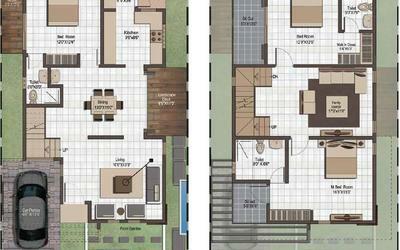 Phase 2 is spread across in 1 Acres and has 12 Units. The units at Palm Vistas can be categorized as international contemporary in terms of design and have efficient layouts that provide 3 to 4 bedroom options with an additional family room. The project is located in the middle of the most active development areas of Whitefield extension, and is accessed by the two key expressways in the area namely, Old Madras Road (NH4) and Sai Baba – Hoskote, Main Road (SH 35). Besides being located in a fast consolidating residential micro market the area is well supported by lifestyle amenities (Vibgyor School, Safal Market, World Markets) and commercial developments (Bearys Research Triangle). As per the structural engineer’s design either in size stone masonry (SSM). Or RCC footings or both combined. Plinth level will be 1’6” above road level. Framed structured with external walls will be 6” solid block masonry with waterproofed cement plaster. Frame and shutters will be made in Teak wood and polished on both sides. Brass fittings like mortise latch; tower bolts, doorstopper and night latch will be provided. Frame will be made of hard wood; shutters will be modular which will be painted on both sides. Door fittings will be of steel / aluminium which include cylindrical Lock, doorstopper and tower bolt. All windows shall be of aluminium alloy anodized frames and glazed sliding shutters or hollow UPVC windows. Ventilators will be in Aluminium or painted MS grills, with adjustable/fixed louvers. The number and sizes of doors, windows, ventilators will be provided as per the standard architectural designs. Quality 24”x 24” vitrified tiles will be provided throughout the living area, dining area and 2 bedrooms, wooden flooring for the master bedroom, antiskid tiles for balconies, utility & bathroom. Toilet will have wall cladding up to 7ft height, Kitchen dadooing will be up to 3’0” above cooking platform, cooking platform: This will be made of approx 20mm thick dark colour granite fixed on MS angles with a double bowl stainless steel sink with single drain board. Sanitary ware Hindware, with CP fittings of Jaguar or equivalent. Bathroom in master bedroom shall have a granite counter-top and washbasin. shall be marked with low height picket fences, hedges and other landscape elements required for aesthetics or privacy enhancements. dwarf wall or landscape elements to maintain a transition to the footpath, studded with features that accommodate letter box, paper holder & milk bag holder, as per the landscape plan. As urban Indian centers grow at a pace that defies definition; and as cities attract talented professionals from India and overseas, Pearl Group, with its property development brand Aurelia Estates, has a wide range of offerings – ranging from apartments, villas, villaments and row-houses to smart city centre commercial spaces and beyond - to fulfill the desires of diverse communities. At the heart of our real estate offerings lies the focus to create boutique signature developments & lifestyle communities that come with zero compromise on location, design, build quality and value. By living up to our promise, every time, all the time, Aurelia Estates reputation is one of excellence and first-choice preference built on the track-record of 14 residential and 3 commercial developments.